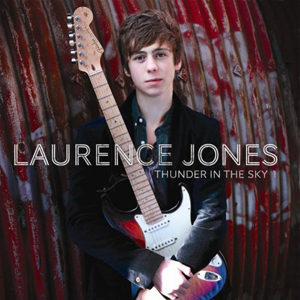 Laurence Jones and his Band play a blend of the rocking blues with a groovy and catchy modern edge. Laurence is being talked as of one of the New up and coming UK Blues Guitarists. Laurence started playing the classical guitar at the age of 8 and has gone on to achieve grade 8 distinction. In 2006 he started to play the electric guitar and was influenced by Jimi Hendrix, Eric Clapton, Tony Mcphee, B.B King, Gary More and Albert Collins. He then went on to form his own Blues/rock band playing his own material and has supported the likes of Wishbone Ash, The Groundhogs (egypt blues band), The move (Trevor Burton) and Danny Bryant's Red Eye Band. Now gigging full time up and down the country, Laurence has just recorded his first professional album. Its Blues/rock with a modern twist.